A study carried out in Bajondillo Cave (in the town of Torremolinos, in the province of Malaga) by an international team made up of researchers from Spain, Japan and the U.K. revealed that modern humans replaced Neanderthals 44,000 years ago. This study, published today in the journal Nature Ecology and Evolution and in which University of Cordoba and University of Granada scientists participated, demonstrates that replacing Neanderthals for modern humans in southern Iberia is an early, not late, occurrence, in the context of Western Europe. That is to say it happened 5,000 years before previously thought up until now. 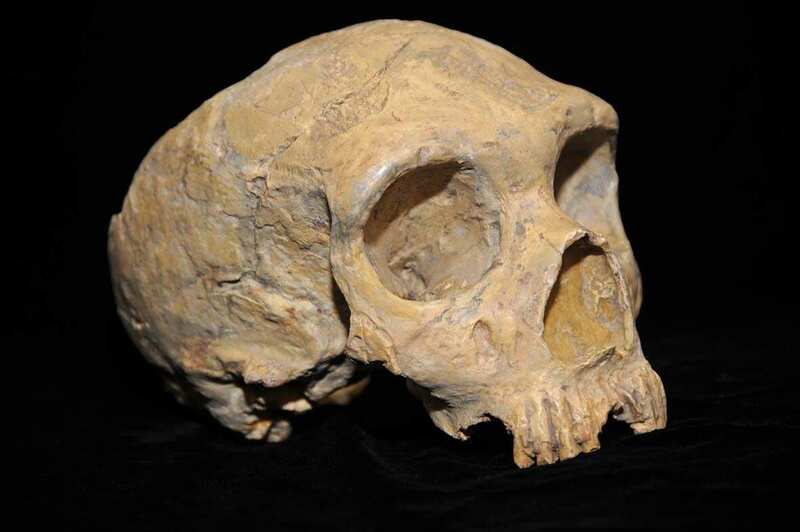 Western Europe is a key area for dating when modern humans replaced Neanderthals. The first ones are associated with Mousterian industries (named after a Neanderthal archaeological site in Le Moustier, France), and the second ones with Aurignacians (named after another French archaeological site in Aurignac) that followed. To date, radiocarbon dating available in Western Europe dated the end of this replacement around 39,000 years ago, even though in the southern part of the Iberian Peninsula Mousterian industries (and for that matter, Neanderthal ones) continued to exist and would until 32,000 years ago. In this area there is no evidence of the early Aurignacians that is documented in Europe. The new dating from Bajondillo Cave (Torremolinos, Malaga) has narrowed down the replacement of Mousterian industries for Aurignacian ones to a range between 45,000 and 43,000 years ago, which raises questions about the late continued existence of Neandertals in southern Iberia. New research will be necessary to determine if indeed these new dates show an earlier replacement of Neanderthals in the entire southern peninsula, or if they show more complex scenarios of a “mosaic” coexistence between both groups for millennia. However it occurred, the dates revealed in the Nature Ecology and Evolution article, in which University of Cordoba Professor José Antonio Riquelme is a coauthor, prove that the establishment of modern humans in Bajondillo Cave are separate from phenomenons of extreme cold (known as Heinrich events), since they occurred before the closest one, Heinrich event 4 (39,500 years ago). The location of Bajondillo indicates that coastal passages were favorite routes in the dispersal of the first modern humans. In this sense, the researchers maintain that finding such an early Aurignacian in a cave so close to the sea strengthens the idea that the Mediterranean coastline was a route modern humans took to get to Europe, reinforcing those dates that prove that more than 40,000 years agos Homo sapiens had spread rapidly throughout a considerable part of Eurasia. Lastly, seeing as the relevance of coastal areas abounds, the authors of this study suggest that the evidence in Bajondillo Cave has revived the idea that the Strait of Gibraltar was a potential dispersal route for modern humans leaving Africa.